Cornerstone Equestrian would like to congratulate Jill Hardie on all of her many successes with her horse Amuzing (Amazing x Mirror Image/All the Gold/Sir Thomson). 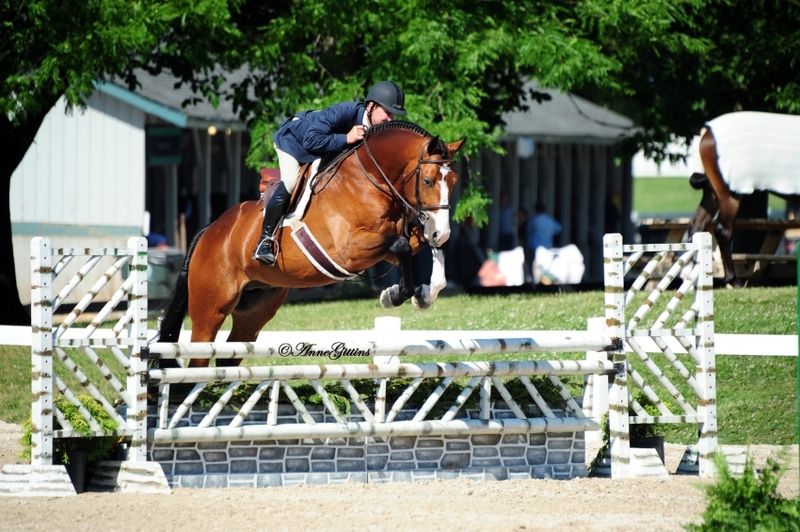 Amuzing is a 2011 RPSI gelding bred by Cornerstone and Ahna Cafaro, and was purchased by Jill when he was born. Amazing’s owner, Ahna Cafaro, and Jill have been friends for over 20 years, and have successfully brought along several young horses together, so it was only fitting that Jill’s next project should be one of Ahna’s “grandkids." 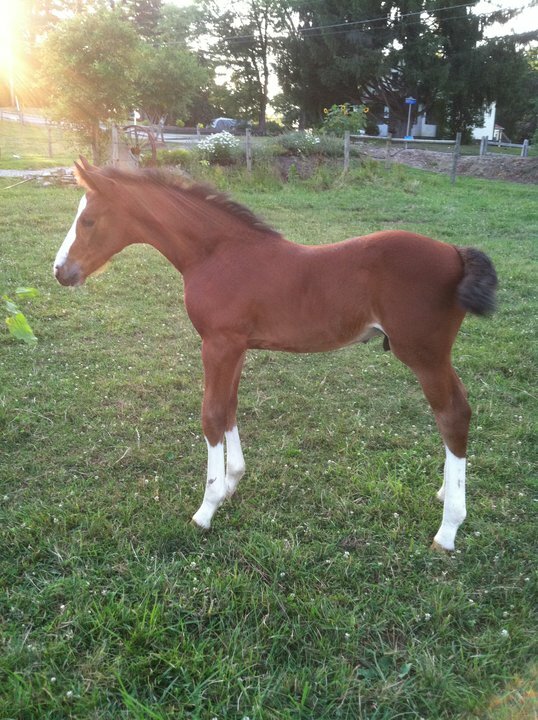 Amuzing was the first horse that Ahna had ever bred, and was one of the first crop of Amazing foals to be born. Jill had told Ahna that if Mirror Image’s foal was a boy that she wanted it, and from the minute he was born everyone around him knew he was special. For starters, he looked just like his dad, and had his same sweet, wise personality which earned him the nickname Junior. He was a kind, sensible baby and incredibly easy to train. After weaning, Junior left Cornerstone to grow up at Jill’s farm, and she did all the work with him until he was ready to start his over fences training. At that time, Junior began his formal career under the guidance of Ahna who showed him in the professional divisions while Jill rode him in the amateur classes. From the beginning, Junior seemed to know his job, and quickly started bringing home Championships. He always tries his hardest to please, and garners his own personal fan club at every horse show he attends. 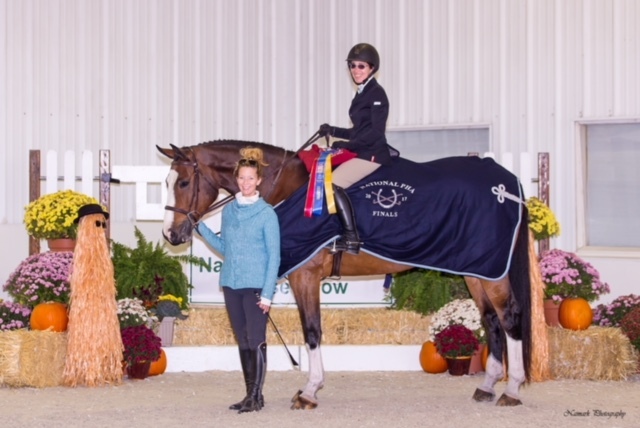 By the end of 2017 Jill and Amuzing capped off their year with a year end Low Adult Championship in the Western Pennsylvania chapter of the PHA, and won the Low Adult National Medal Finals over the top riders from all of the PHA chapters. In December, Amuzing made the transition to the 3’ classes, and in only his fourth outing at that height was Reserve Champion in the Adult Amateur Hunters at the World Equestrian Center. It has been such a joy for Ahna to be a part of this horse's life from the very beginning, and it is truly a dream come true. Like father, like son. Amuzing's sire: Amazing. To learn more about Amazing (Balou du Rouet/Voltaire), visit his Stallion Profile on WarmbloodStallionsNA.com: please click here.